What Are the Pros and Cons of an LLC Structure for Your Business? It's hard to read about starting a small company without running into article after article touting the benefits and features of the LLC. It's a popular structure for companies because of the way that it limits liability to the business for certain actions taken by its members. But like any business structure, it's designed to do a few things well, and there are situations where another structure is a better fit. If you're considering whether you should go forward with incorporating as an LLC, here's what you need to consider. An LLC with a single owner will be treated like a sole proprietorship for tax purposes unless it opts otherwise. That means you simply include the business income as personal income on Schedule C of your taxes, making it easy to calculate and pay your taxes from the profits. An LLC can also opt to be taxed as a corporation, which makes it a separate taxable entity with its own tax paying obligations. This can make it easier to handle tax accounting when there are multiple members in the LLC. Privacy protection for members of an LLC is hard to put a dollar value on, but it's a major advantage. The LLC limits the visibility of its owners, making it more difficult for business conflicts to spill over into your personal life. This is especially useful for entrepreneurs with multiple business investments. There is great flexibility in assigning profits and losses to individual members in differing amounts. This makes it very easy to have partners with differing levels of investment, simplifying both the basic accounting and tax obligations and payments for the business. These kinds of companies are typically inexpensive to establish. Some states require less than $100 in fees to start one, and the national average cost is only somewhere around $500. Limited liability has… well, limits. That's the disadvantage new owners need to be most aware of when setting up an LLC. Judges can and routinely do "pierce the veil" and decide to hold individual members of the LLC liable for its actions under certain circumstances. If that happens, then your personal assets can be pursued in a lawsuit against an LLC you own. That's why it is important to run your operation transparently and to maintain a clear expectation of the level of limitation to your liability you can expect. The other major disadvantage is that — unless you opt for taxation as a corporation — your business income will be subject to the self-employment tax. If you choose corporate taxation, you'll only have the pay the self-employment tax on the money you take out of the business as income. This technique can do a lot for businesses looking to invest in growth. There are some features of LLCs that are beneficial for some businesses and disadvantageous to others. For example, changing the ownership allocations of an LLC requires the consent of the entire membership. This makes it excessively difficult for members to enter or leave unless there is a firm consensus. 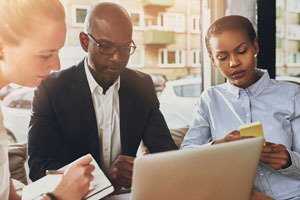 This feature is not necessarily an issue when you are a sole member of an LLC, but for those who plan to add partners, it can be a complicating aspect. If you looked at these advantages and disadvantages and decided an LLC is the right business for you, MyLLC.com can get you started today. It just takes a few minutes to get started with a new LLC in any state when you order your LLC online, or you can also contact us with questions.